Q H I - Central Heating Engineer, Kitchens, Plumber based in Greenmeadow, Torfaen. Hi there I'm Dave of QHI. 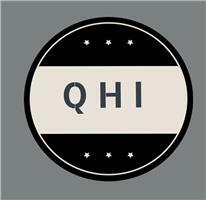 QHI is a well established family run business. We do not sub contract out, everything is kept in house. We are a well known respected company in the local area and have completed over 400 jobs in the last few years. Honesty is integral for our business ethic and we strive to give good service to all our customers needs and budgets. QHI is broken into 4 x groups; group 1 gas and plumbing 24hrs emergency call out, group 2 domestic electrics, group 3 kitchens, bathrooms, tiling, plastering, carpentry & joinery, group 4 painting and decorating (indoor and outdoors) and garden maintenance. I would like to thank you for your consideration and look forward to your call.